In this article, I will show you how to keep VSync and get 60 fps for both AMD Radeon and Nvidia GeForce cards. This quick fix goes great with the popular anti-aliasing fixes here. For both programs, be sure to select the Dead Space 2 profile first. 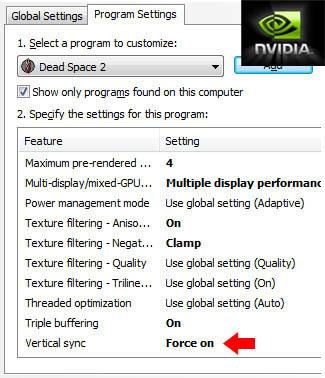 You will probably have to add deadspace2.exe in Nvidia Control Panel yourself. It’s simple to setup your Radeon card to force vsync and enjoy high frame rates using the Catalyst Control Center or RadeonPro. Be sure to get the newest drivers first. Catalyst 11.1 come with the new CCC version 8.812. If you are using RadeonPro, don’t forget to select Dead Space 2 as a profile. Don’t Forget the In-Game Options! 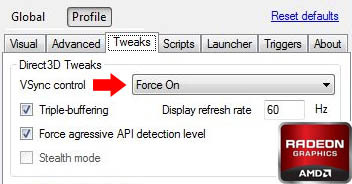 Don’t forget to go into the options menu in Dead Space 2 and turn off it’s vsync! Otherwise your frame rate will stay locked at 30. You should see a night and day difference between the two frame rates. To compare the two frame rates on-the-fly, simply pause your game and flip between vsync on and off. Have fun! 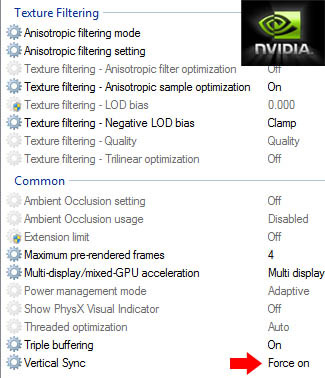 Worked like a charm on my GTX 480 SLI. Vsync ON and 60 fps! Thanks! I LOVE YOU MAN!! !I swear I would kiss you if I ever met you.THanks a lot man.Really really helped a LOT! Seriously, this worked f**king amazing. 200 FPS compared to 30 is like playing a completely different game. I only wish I found out sooner! You deserve a medal! Thanks! Crazy what a difference it makes. Thank you , really helpfull. A completely different experience now !!! Guess thats 1 of the reazons why PC’s are on top. MODIFICATION !!!! Thank you again !!!! What FPS did you get before you tried it? Thanks, worked liek a charm! Hi guys. I’m using intel integrated graphics. How can I also solve the problem? 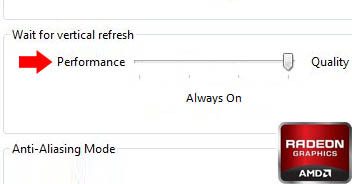 That doesn’t work on laptops, there is still a 30fps cap.